New Jersey got its first taste of legal NFL betting action last weekend. Placing bets was not the problem for those who tried on Sunday — getting to the Meadowlands Racetrack was. Those not at MetLife Stadium to watch the New York Giants lose to the Jacksonville Jaguars 20-15 had a tough time getting to the track. Attendance grew, however, as traffic to get into the stadium died down with the start of the Giants’ home opener. NFL brought a “massive spike” to DraftKings betting action. It took DraftKings, which operates mainly as a fantasy sports company, 38 days to reach one million sports bets since launching its online sportsbook in New Jersey on August 1, company co-founder and Chief Revenue Officer Matthew Kalish told Reuters in a telephone interview on Tuesday. During Sunday’s season-opening games more than 100,000 bets were placed through the sportsbook. Over the weekend, 51 percent of DraftKings sportsbetting customers placed bets versus roughly 35 percent for most days in August. About 90 percent of DraftKings wagerers have returned to bet again, Kalish said. The bump in volume and high retention rate signals a strong professional football season ahead for DraftKings’ sports betting, Kalish said. “It shows a lot of positivity going into the NFL season,” he added. September will be the first true indicator of sports betting action and revenue in newly regulated states. September will bring the first real test. Legal sports betting officially came to New Jersey on June 14, but the ad hoc nature of the initial betting options and a light sports calendar meant that the first few months of operation were more of a dry run than a true litmus test. With the NFL and college football both in full swing, online sportsbooks from seven brands and counting and retail sportsbooks finding their footing across the state, September will provide the most germane look to date at the actual potential of regulated sports betting in New Jersey. Nevada provides a sense of where New Jersey might land. Historically, sports betting activity in Nevada jumps about 150% from August to September, suggesting that New Jersey should approach $250 million in wagers during September after totaling just under $100 million in August. The reality is that New Jersey sportsbooks will probably book well over a quarter of a billion dollars in sports bets during September thanks to the flood of new brands, increased marketing, and improved products hitting the market this month. New Jersey’s chief casino regulator said he thinks New Jersey will surpass Nevada as the top regulated sports betting market in America by 2020. David Rebuck, director of the New Jersey Division of Gaming Enforcement, said sports betting was robust in the first week of the pro football season. 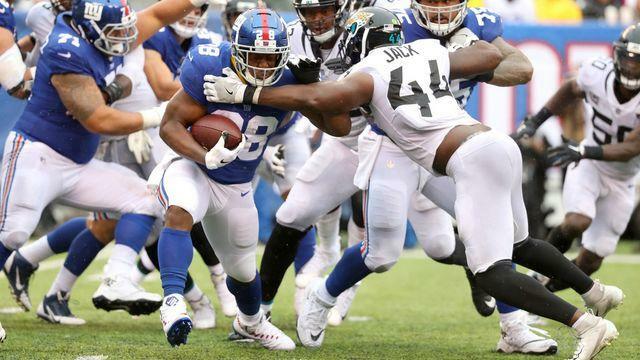 Wagers rose from Thursday night to Sunday, when the New York Giants lost their season opener to the Jacksonville Jaguars at MetLife Stadium in East Rutherford. “The numbers are going to continue to grow and we’re going to continue to build momentum as the football season continues,” Rebuck said in a phone interview. The agency plans to release August results for the entire state casino industry on Wednesday, including slots and table games. New Jersey’s sports-wagering revenue totaled $3.8 million in July, the first full month since betting started in June. Nevada’s was $249 million last year. Chris Grove, an analyst with Eilers & Krejcik Gaming, predicts New Jersey will reach No. 1 in 2021, when the state will have $442 million in sports betting revenue versus Nevada’s $410 million. The introduction of sports betting didn’t seem to influence horse racing handle at Monmouth Park. The great debate of late in horse racing is whether not having sports betting at bricks and mortar racetracks will help or hurt handle. With the first meaningful set of data now available, the answer is neither. The 2018 meeting at Monmouth Park, the second racetrack in the country to offer sports betting, concluded Sunday and the numbers show a pattern that suggests there was little to no crossover between sports bettors and horseplayers. Average total daily handle for the entire 52-day meet was $3,383,872, 2.1% off of last year’s average of $3,457,379. Like many tracks in the Northeast, Monmouth was hit hard by rain and had 80 scheduled grass races run on the dirt. Mississippi earned $54,000 in revenue from sports betting in August. After one month of activity, though, the impact of sports betting on state coffers probably is still an unknown. August is not considered a true indicator of how much revenue will be generated because all of the 28 state-regulated casinos along the Mississippi River and Gulf Coast did not offer sports betting for the full month. Revenue collections from sports betting were part of the overall August revenue report recently released by the staff of the Legislative Budget Committee. Earlier reports from the Mississippi Gaming Commission said patrons wagered $9.8 million from the time sports betting started at some Mississippi casinos on Aug. 1 through Sept. 2. The casinos pay a 12 percent state/local tax on their earnings, resulting in the $54,000 in tax collections for August. The Alliance of American Football, a professional football league that is set to begin its first season in February 2019, will work closely with partners on an in-game wagering service. The Alliance of American Football’s in-house tech team has built a gambling product that not only will allow the gambler to watch a game on an app while betting on it on the same screen, it will also allow the league’s exclusive gaming partner to better price the in-game odds by building a data set that correlates the likelihood of a certain bet winning.